Do you guys remember the post from Cape Town in which I wrote about fanny bags? 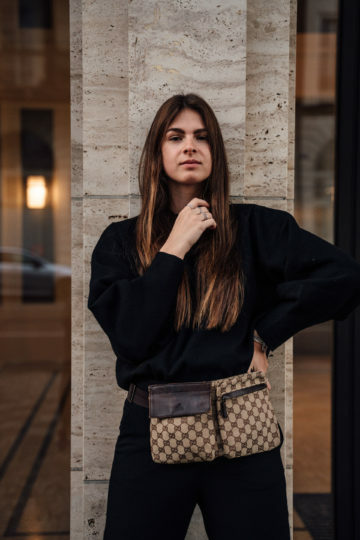 If so, you already know, that fanny bag is just another name for belt bag and that there are many different ways to wear a fanny bag. When I was in Cape Town, I was wearing the fanny bag as a cross-body bag as this was the most convenient way for taking photos of the other girls. 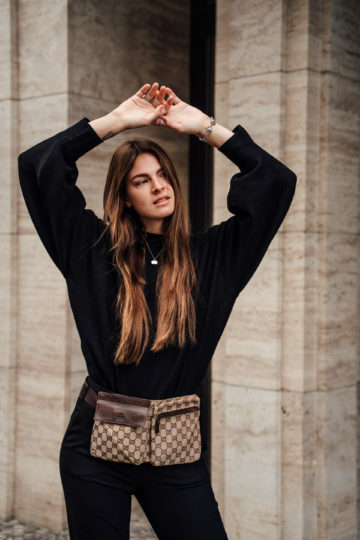 Another way that will keep your hands free is by wearing the fanny bag just as it is supposed to be worn originally: around the waist. 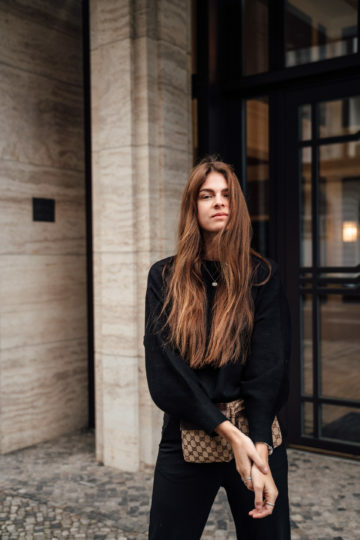 I decided to wear it like this when I was back in Berlin and felt like wearing an all-black outfit but needed to add something that would make this outfit look more interesting. 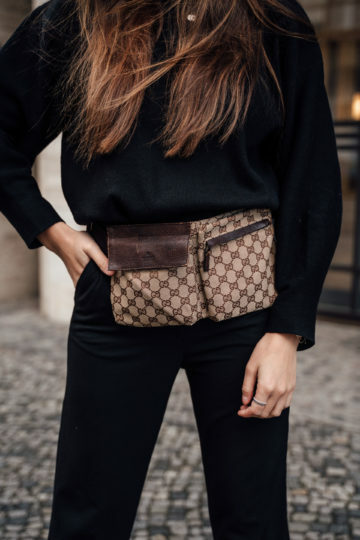 And what would have been better than wearing my vintage Gucci fanny bag around the waist? I often go for all-black outfits when I don’t know what else to wear as you can never go wrong with this look. And the all-black outfit is the perfect base for whatever kind of outfit you want to go for in the end. 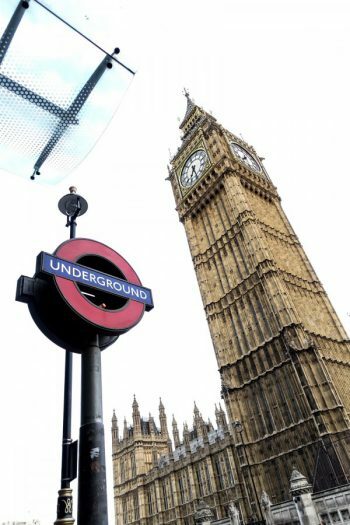 And wearing all-black doesn’t mean, that your outfit has to look boring You can – and I would always suggest doing it – add more colourful and eye-catching accessories, a bold jacket or coat or fancy shoes with your all-black outfit. The other day in Berlin I decided to keep it quite simple. I wasn’t wearing a contrasty coat or jacket, and I also wasn’t wearing a fancy pair of shoes. I was wearing a pair of black pants, a black sweater and a pair of black boots. It is a very comfortable and simple look, but I definitely needed a piece of clothing to make it more appealing. That’s why I opted for my vintage fanny bag from Gucci. Not only has it a different colour, but it also has such a cool cut. It is quite different from all the other fanny or belt bags I have, but that’s the reason why I like it that much. 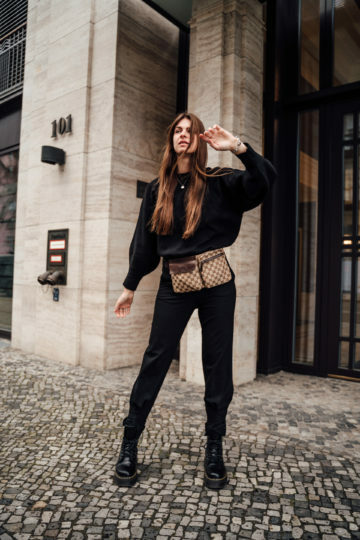 I know that not all of you will like it as much as I do, but that’s ok. And if you like the look in general and just not the bag, you could always recreate the outfit with a different belt bag. 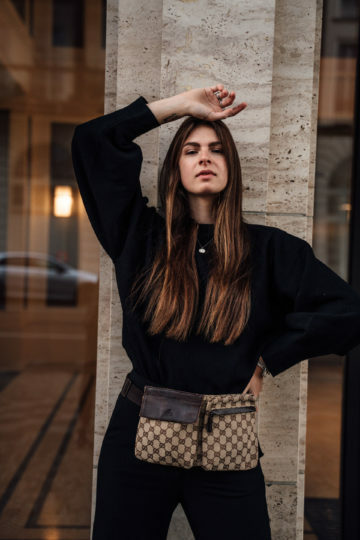 I usually wear my belt and fanny bags cross-body as I didn’t like wearing it around the waist. 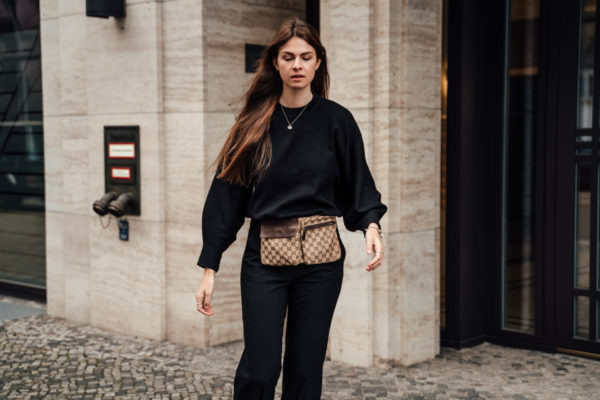 I think that’s because people used to do it back in the 90s and belt bags didn’t have the best and most fashionable reputation. That changed – obviously – and after first getting used to the belt bag trend, I am now slowly getting used to wearing it around the waist.